When my son Matthew was born, we put an iHome radio in his room and loaded up the iPod with songs from a lullaby CD. Two years later, and a constant repeat cycle the entire time, we’ve racked up tens of thousands of plays for each of the songs and Matthew will probably have the songs stuck in his head for years to come. Since we were on the lookout for something new, I was happy to stumble across the Beautiful Creatures collection of children’s songs. They not only had two collections of nighttime/lullaby songs, but there were also several kid friendly options that we could play during the day when Matthew is in the mood to dance, sing and just plain be a kid. The Beautiful Lullabies album seemed to be Matthew’s favorite, especially the “African Lullabye” song, Track 1 on the album. The nice thing about the songs being on iTunes is that you can pick and choose individual tracks from the various albums, but they are inexpensive enough where it is easy to just grab the album, load up the iPod, and see what particular songs seems to strike your kid’s fancy. We made it through two years of having the same album playing over and over on the iPod. Let’s see how long we can go with all these albums to choose from. What a month it’s turning out to be for Beautiful Creatures! Our director Paul Warrick Griffin has moulded a show that has delighted children and parents this last week at the Teatro at Monte Casino. We’ve never seen so many happy, smiling Beautiful Creatures fans! 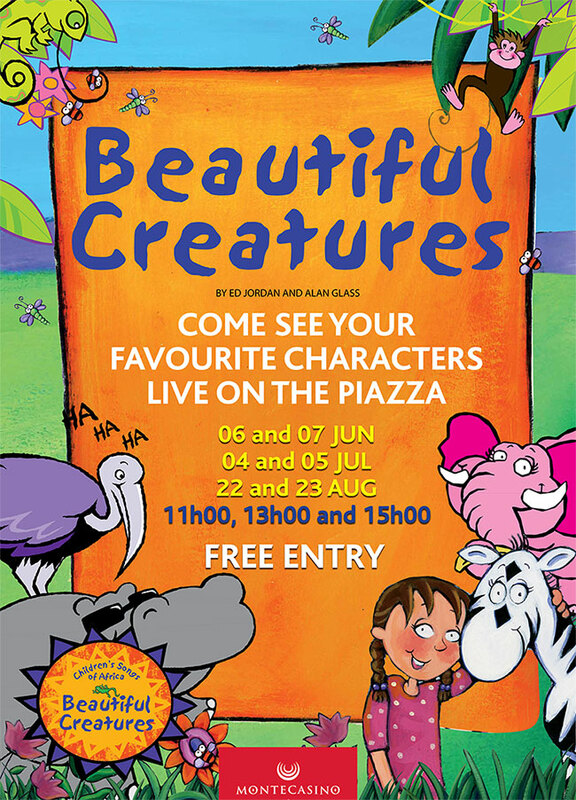 Beautiful Creatures runs at the Teatro at Monte Casino till the 4th of July. Yesterday we had a really good meeting with the stage show creative team. There have been a few `changes` implemented and it is interesting to see how this process works. We have modified our approach to costumes a number of times and I think we are going to end up with something very FRESH and EXCITING.